Understanding the Transition IEP Process: this site details the Individual Transition Plan or ITP in language that parents can understand. Good record keeping is an essential part of the special education process. Parents should save important records in an organized way to use for special education planning and to keep track of their child’s educational progress. 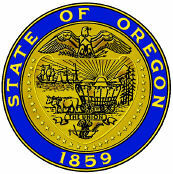 Welcome to the new database for the Oregon Administrative Rules. You now have all the rules and filings for Oregon in one easy to search location. Chapter 581 Oregon Department of Education. This is a professional organization site. Basic membership starts at $39.and features publications, conferences, professional learning and a small section on special education. A legacy resource from NICHCY: supports, modifications and accommodations for students makes this statement the key to success in the classroom lies in having appropriate adaptations, accommodations, and modifications made to the instruction and other classroom activities. Academic content Standards identify what Oregon students are expected to know and be able to do in the content areas. Rules & Policies: State and Federal policy, ODE policy publications and presentations, and a range of other policy related resources and tools. The Individuals with Disabilities Education Act, as amended in 2004 (IDEA 2004-PL 108-446), is a federal law governing special education services and federal funding for eligible infants, toddlers, children, and youth with disabilities across the country. For more information about IDEA see the U.S. Department of Education website. Whether you or your child has been newly diagnosed with SWS or KT, or if he/she was born with a port wine birthmark and your doctor has mentioned the possibility of having one of these syndromes, the information contained here will be a basic introduction on what to watch for and your possible course of action. 15 nonprofit organizations have joined forces to support parents of the one in five children with learning and attention issues throughout their journey. With the right support, parents can help children unlock their strengths and reach their full potential. With state-of-the-art technology, personalized resources, free daily access to experts, a secure online community, practical tips and more, Understood aims to be that support. An assessment decision making TOOL to help IEP teams in determining whether a student should take the Oregon Extended Assessment. 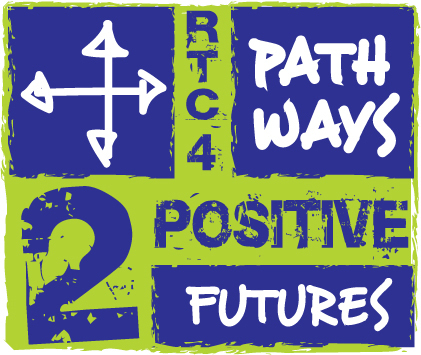 Assessments help teachers and parents know if students are on the path to success. The Smarter Balanced assessment system provides accurate measures of achievement and growth while challenging students to think critically and solve real-world problems. A core principle of the Smarter Balanced system is accessibility for students who take the test. One tool to help students with disabilities even in the face of a special education teacher shortage is assistive technology. Today, assistive technology can help students with certain disabilities learn more effectively. Ranging in sophistication from “low” technologies such as a graphic organizer worksheet to “high” technologies including cutting-edge software and smartphone apps, assistive technology is a growing and dynamic field. Parents helping parents: Providing Indiana families and service providers the information and training necessary to assure effective educational programs and appropriate services for children and young adults with disabilities. The Center on Brain Injury Research and Training offers comprehensive, web-based training for classroom teachers, 1. Discover how brain injury differs from other disabilities, 2. Create a classroom that supports student success, 3. Learn simple, practical strategies to use in your classroom. 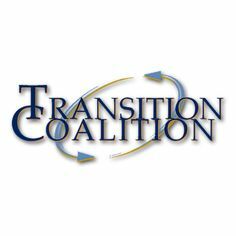 A case study that shows completed Age Appropriate Transition Assessment, Post Secondary goals, Transition Services, Annual Goals, etc. Requirements and guidelines regarding the role of the student in his/her IEP meeting, including processes for a student-led IEP. OHSU Child Development and Rehabilitation Center (CDRC) combines clinical excellence with innovative research to provide the best care for children with special health needs. Our clinics use a family-centered, team approach to care for each of our patients and families. CDRC staff specializes in diagnosis, assessment, and intervention related to disorders affecting development. Depending on the child, our services range from a single discipline consultation to a full team evaluation. Creating routines power point explains how to create a routine for a detailed course of action. This site also has specific routine forms. Requirements and guidelines of appropriate measurable post-secondary goals based upon age appropriate transition assessments related to training, education, employment, and, where appropriate, independent living skills.. The charts in the document show sample instruments of age-appropriate transition assessments organized under various domains (Academic Assessment, Self-Determination Assessment, Vocational Interests, Exploration, and Career Development Tools, and Adaptive Behavior/Independent Living). Case examples of age-appropriate transition assessments written in the IEP for students with mild, moderate, and severe disabilities. Case study examples of appropriate, measureable post-secondary goals.
. The “Oregon Extended Assessment Decision-Making GUIDANCE” is provided by the Department of Education to support IEP teams in determining whether a student should take the Oregon Extended Assessment. And also an assessment decision making TOOL to help IEP teams in determining whether a student should take the Oregon Extended Assessment. The TAGG is a new on-line transition assessment for secondary-aged youth with disabilities, their families, and professionals. TAGG items derive from research identified student behaviors associated with post high school employment and education. The TAGG provides a norm-based graphic profile, present level of performance statement, lists of strengths and needs, and suggested IEP annual transition goals. An Annual Goal chart of 2 columns with the headings : Goal component and Explanation. For each post-secondary goal, there should be an annual goal. Our mission is to provide and promote recreational, fitness and competitive opportunities for people with physical disabilities. It is our vision to lead our community to a greater state of health and wellness by nurturing the mind, body and spirit through sports and recreation. ASNW offers a wide range of programs and events that educate, connect and inspire children and adults to activate and realize their own personal possibilities and improve their lives. This survey can be used to determine your future career and job interests at this point in your life. It can also be used as a guide to help you make class choices for high school. IDEA definition of courses of study, which defines the multi-year set of classes or activities. Clear description of what the course of study should be. Case study examples of classes or activities that help guide the student toward reaching the post-secondary goals. The Red Book serves as a general reference source about the employment - related provisions of Social Security Disability Insurance and the Supplemental Security Income Programs for educators, advocates rehabilitation professionals, and counselors who serve people with disabilities. Empowering Oregon families experiencing disability in their pursuit of a whole life by expanding awareness, growing community, and equipping families. Things to consider: What agencies should the school district invite to an individual student’s IEP meeting? How much time will another agency need to prepare for an IEP meeting? Can invites be done months early to get on schedules? Should you invite more than one agency to an IEP meeting? Case examples of agency participation written in the IEP for students with mild, moderate, and severe disabilities. FACT Oregon is the designated parent training and information center for Oregon. This info sheet includes Fact resources, as well as, links to other Oregon consortium of Family Networks. A one page fact sheet on Career and Technical Education for students with disabilities. Federal regulations requiring the school district to invite a representative of any participating agency that is likely to be responsible for providing or paying for transition services. Participating agencies should be invited to the IEP team meeting with the prior consent of the parent or student who has reached the age of majority. 5 facts about goal setting, these practical tips on goal setting can help make it easier to set and reach goals. The Council for Learning Disabilities (CLD) is an international organization composed of professionals who represent diverse disciplines, is committed to enhancing the education and quality of life for individuals with learning disabilities across the life span. CLD accomplishes this by promoting and disseminating evidence-based research and practices related to the education of individuals with learning disabilities. This site is for those who want a career in special education and want to find a program, university, or other training to be able to pursue the career. A definition of post-secondary goals, including examples and a formula for writing post-secondary goals. Study guides and strategies has folders, and guides to learning and studying, internet, project and time management, writing and vocabulary, thinking and evaluation, reading and research, and math and science. Note-taking is a skill that can help you do well on all your schoolwork — everything from taking tests to researching a paper. But unfortunately, most schools don't have classes that teach you how to take notes. So here are some tips. Case study examples of transition services/activities in areas of education, employment and independent living. IDEA definition of transition services including examples of transition services in areas of education, employment and independent living.